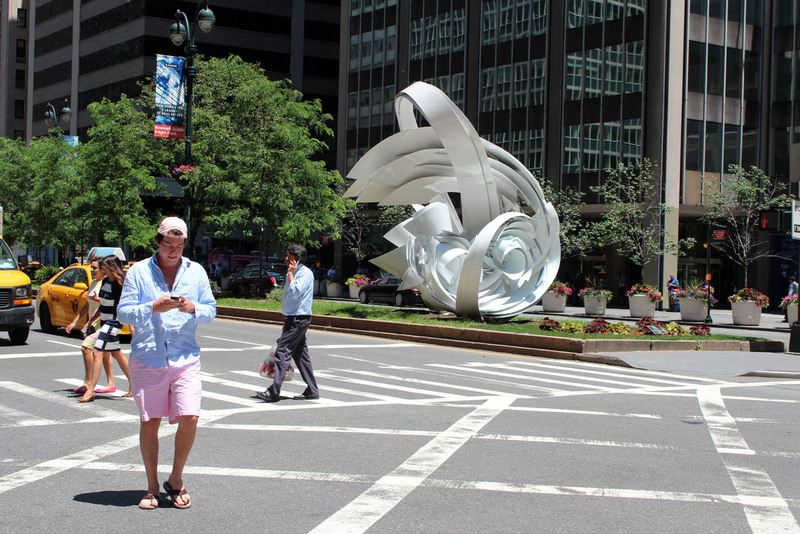 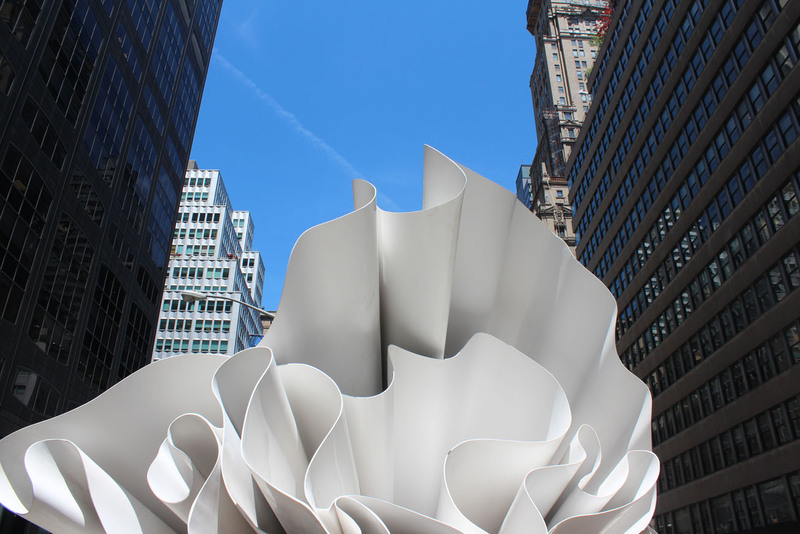 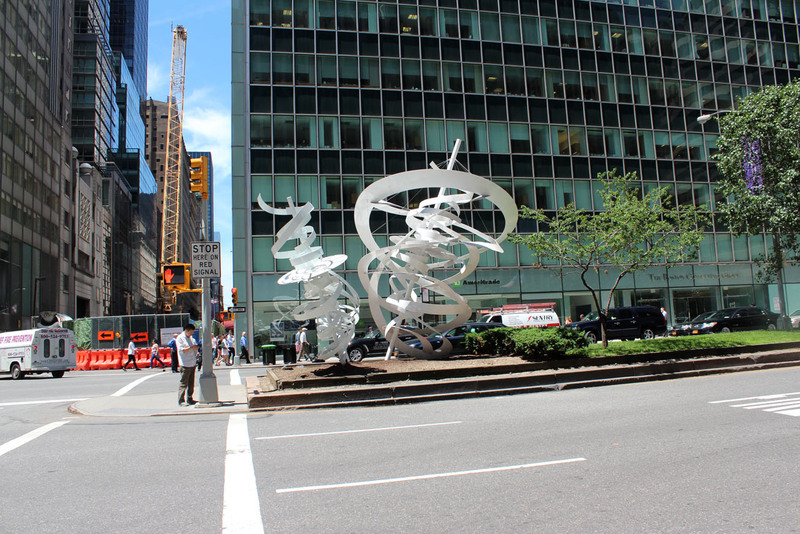 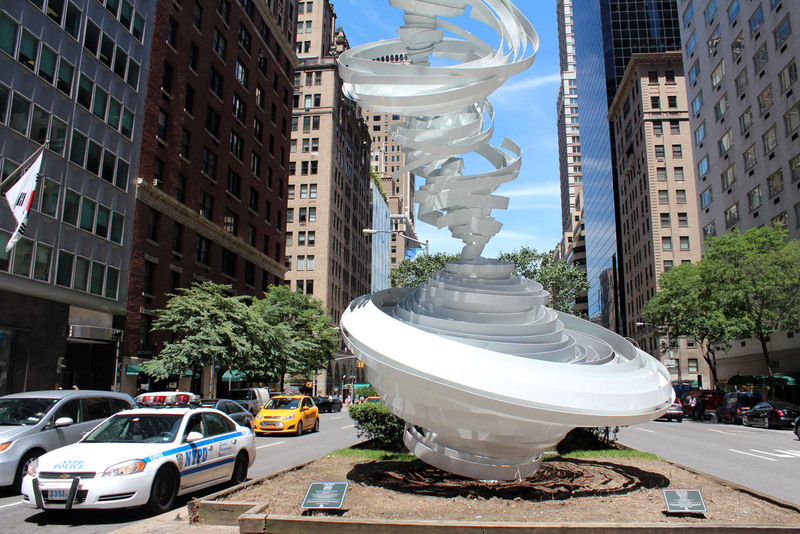 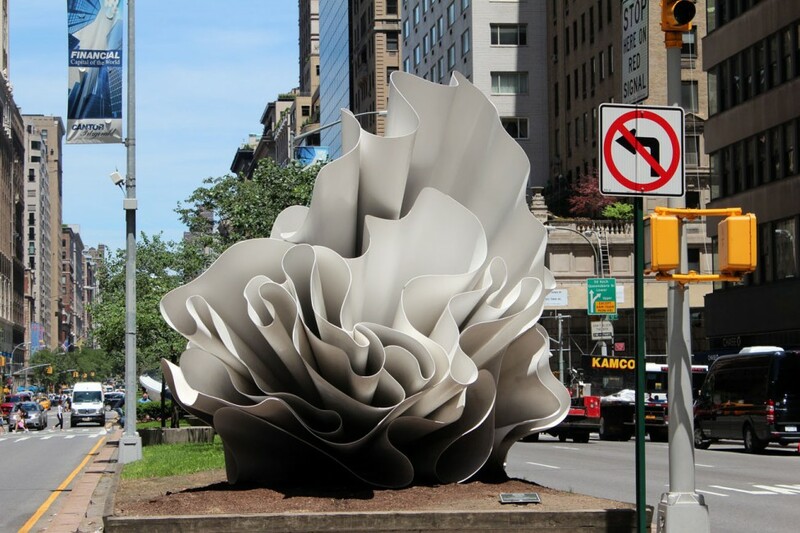 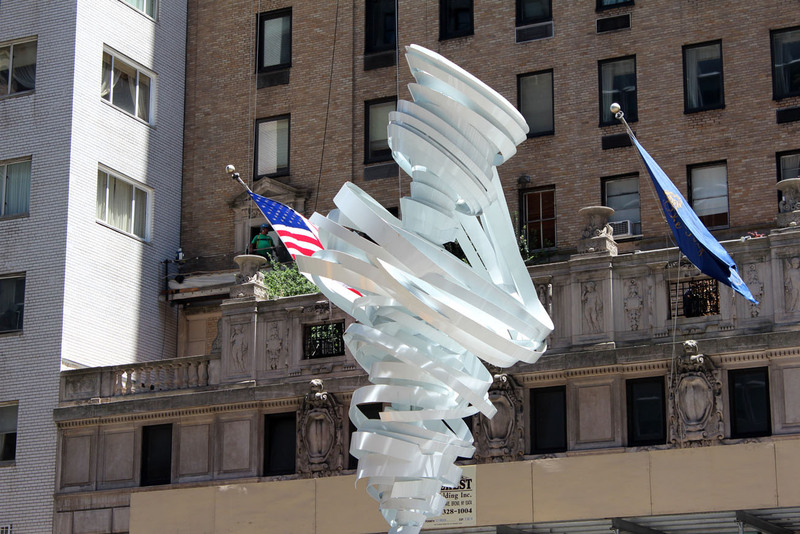 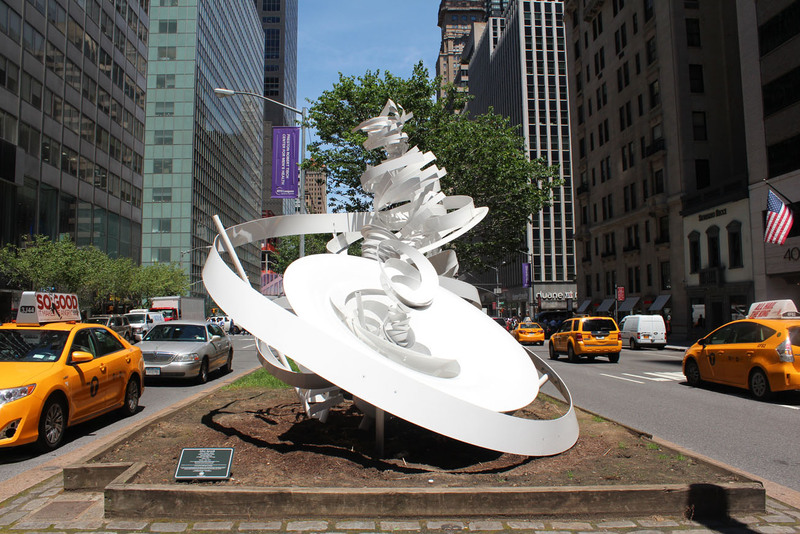 NEW YORK—The latest artist to have their way with Park Avenue is Alice Aycock, who has installed a series of dynamic, white metal sculptures rife with energy and movement between 52nd and 57th streets and at 66th in front of the Park Avenue Armory. 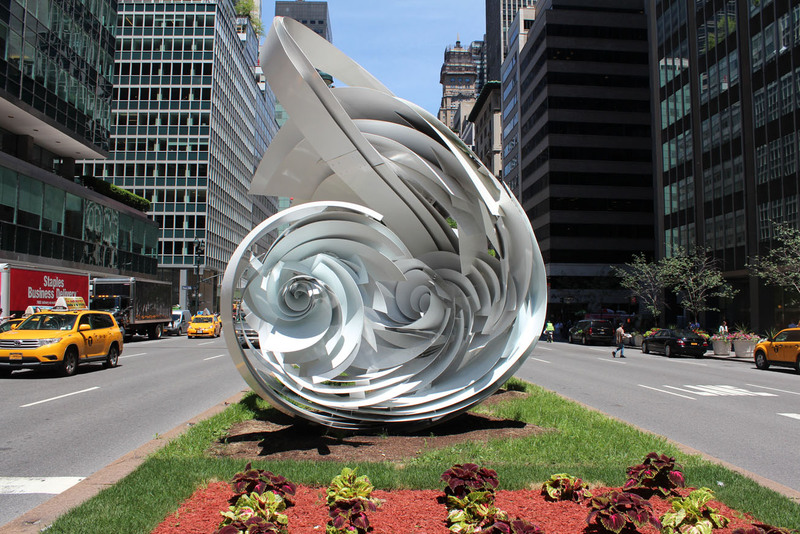 “Cyclone Twist,” 2013 (painted aluminum). 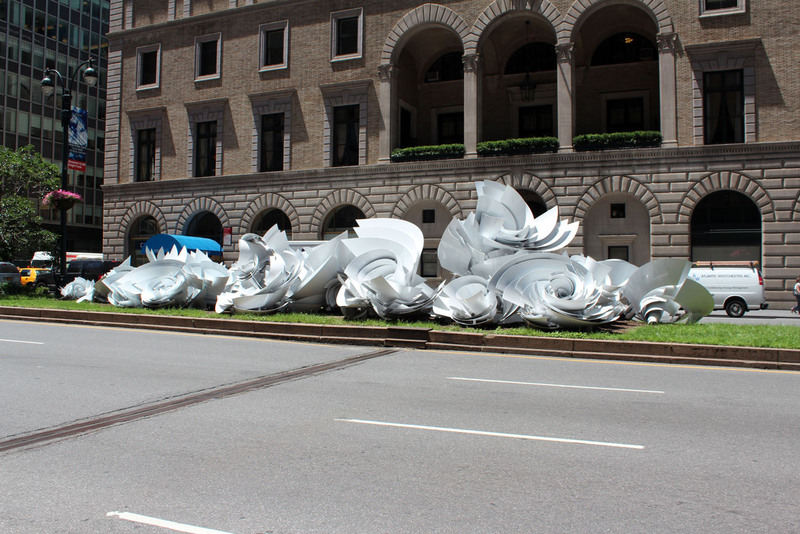 Born in Harrisburg, Pa., Aycock teaches at the School of Visual Arts and the Maryland Institute College of Art. 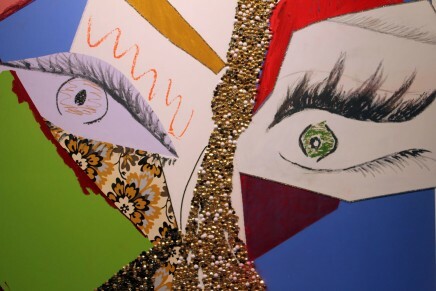 Earlier this year, “Alice Aycock Drawings: Some Stories Are Worth Repeating,” a collaborative retrospective of more than 100 works was on view at UC Santa Barbara’s Art, Design & Architecture Museum and the Santa Barbara Museum of Art. 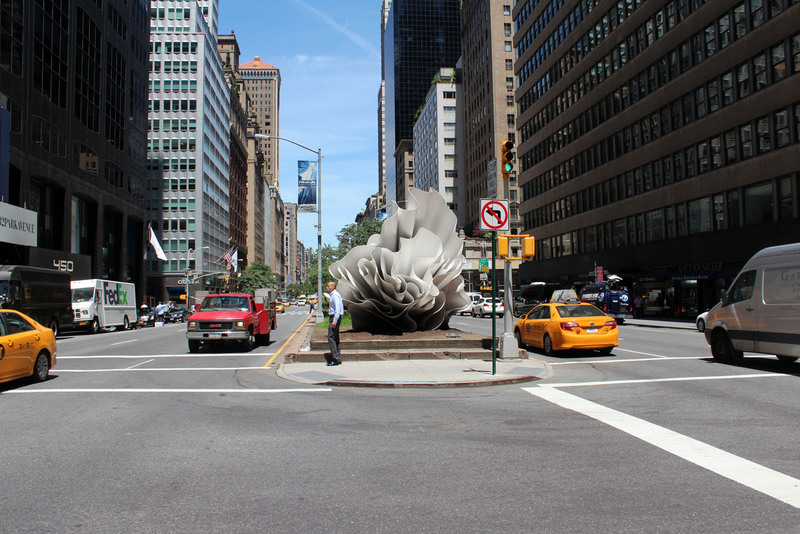 The Park Avenue exhibition is made possible by Galerie Thomas Schulte & Fine Art Partners, Berlin; Fredric Snitzer Gallery, Miami; and Salomon Contemporary, New York. 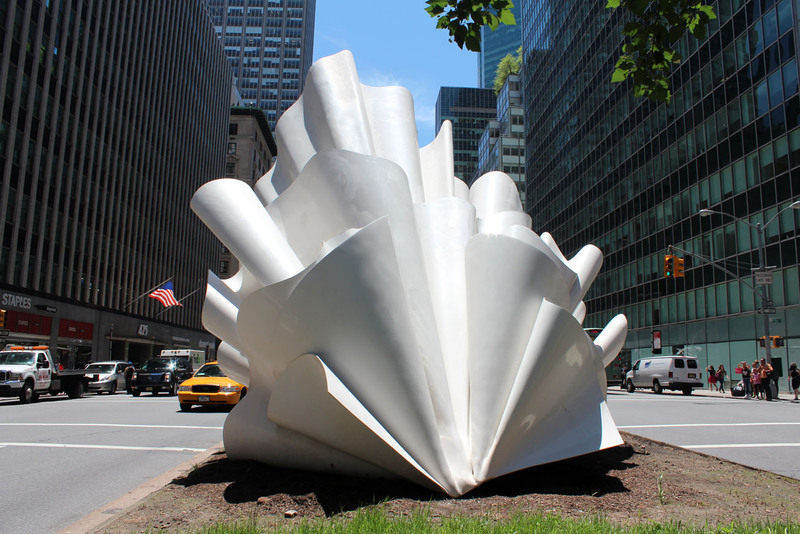 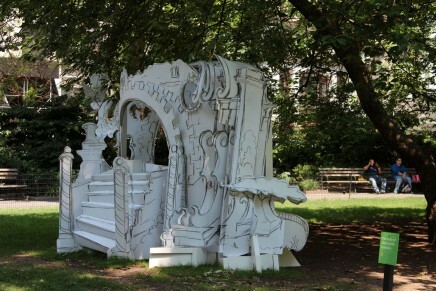 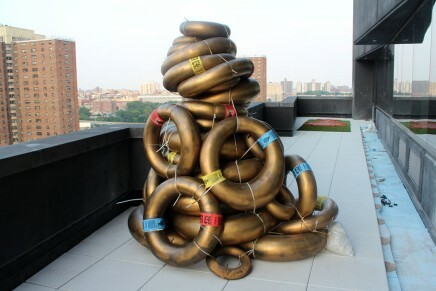 It is presented by the Fund for Park Avenue Sculpture Committee and the New York City Department of Parks and Recreation. 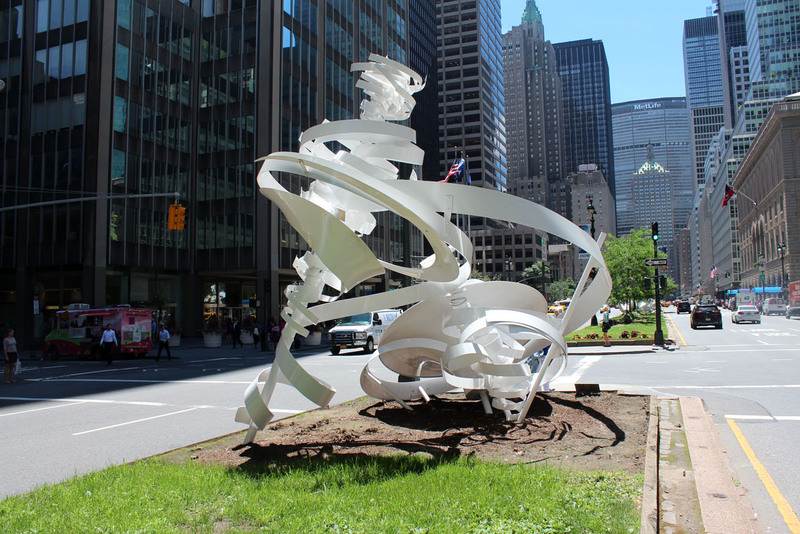 “Park Avenue Paper Chase” is on view from March 8 to July 20, 2014. 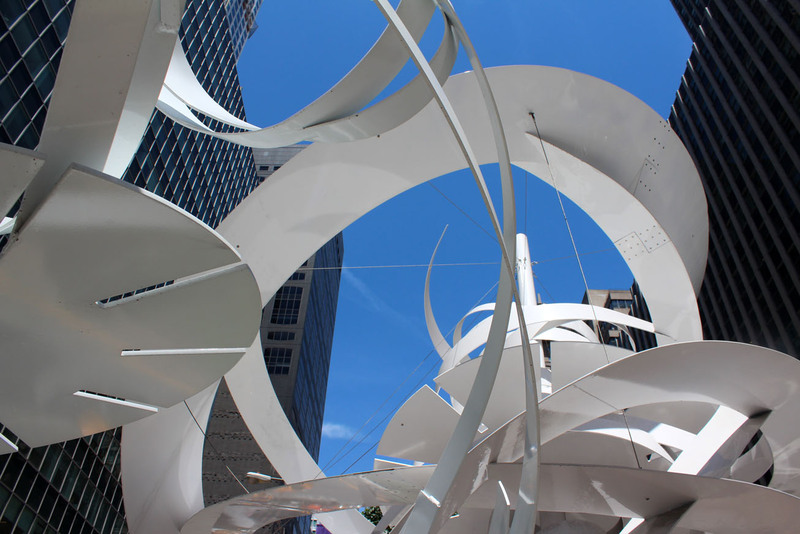 “Hoop-la,” 2014 (painted aluminum and steel). 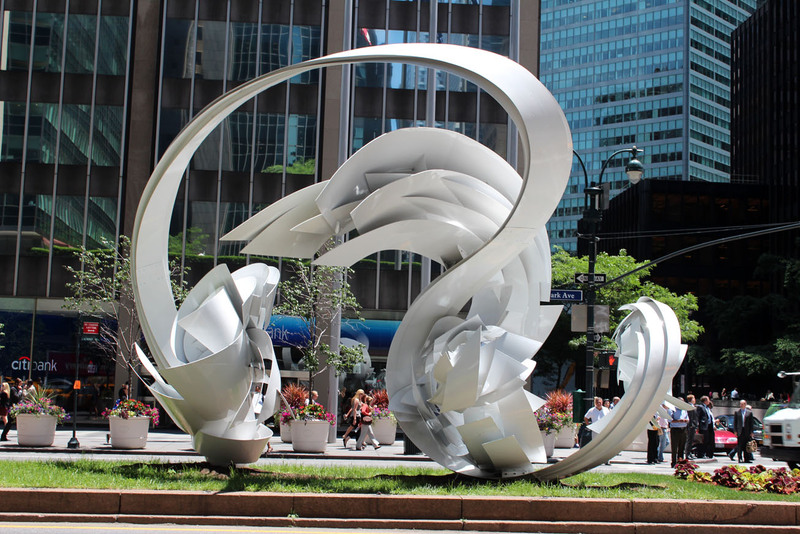 “Twin Vortexes,” 2014 (painted aluminum). 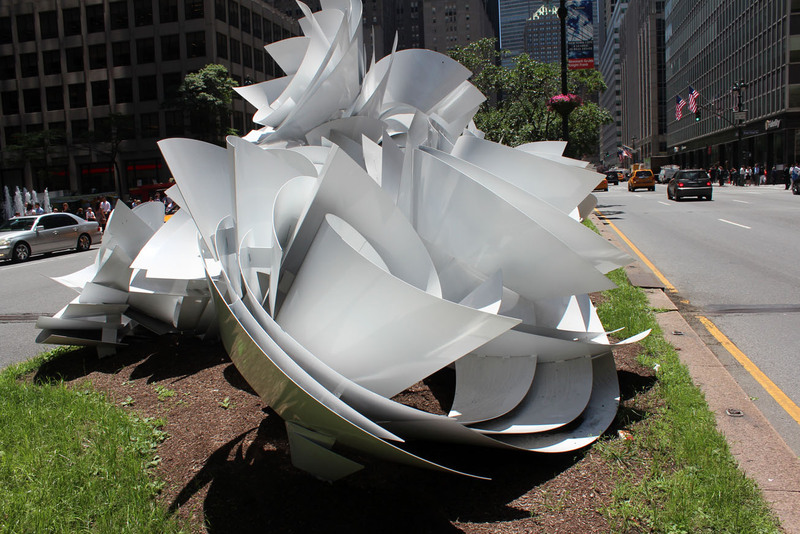 Installation view of “Waltzing Matilda,” 2014 (reinforced fiberglass). 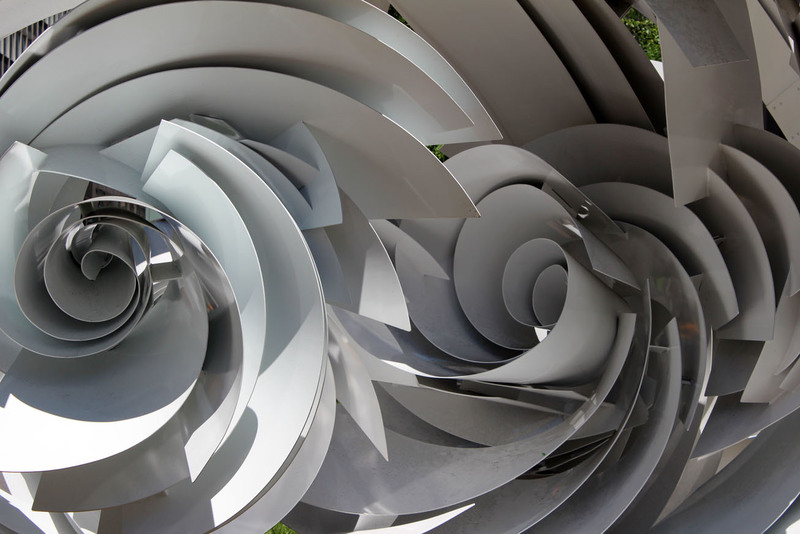 Detail of “Cyclone Twist,” 2013 (painted aluminum).